I'm so excited about the This Is My Year Manifesto and the ways you’ve shared how you’re using it and gifting it! It is part declaration and part prayer, and I hope you will find yourself within its words. It's available over in my Soul Mantras shop. And this year, the manifesto has a fun new element to it: I've chosen several of the phrases inside the manifesto and highlighted them in different designs (see the photo for a few examples). I will choose yours just for you and invite you to trust that you'll receive the one you most need for 2019. 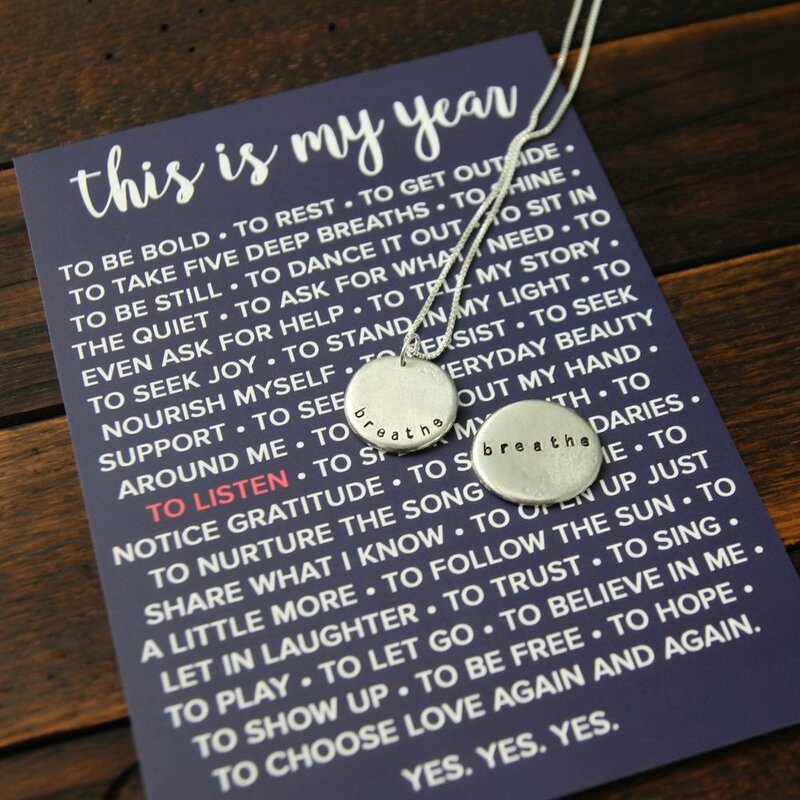 You can also find the manifesto as part of the This Is My Year mini bundle, which includes a necklace and talisman with your word/intention of the year and the manifesto. 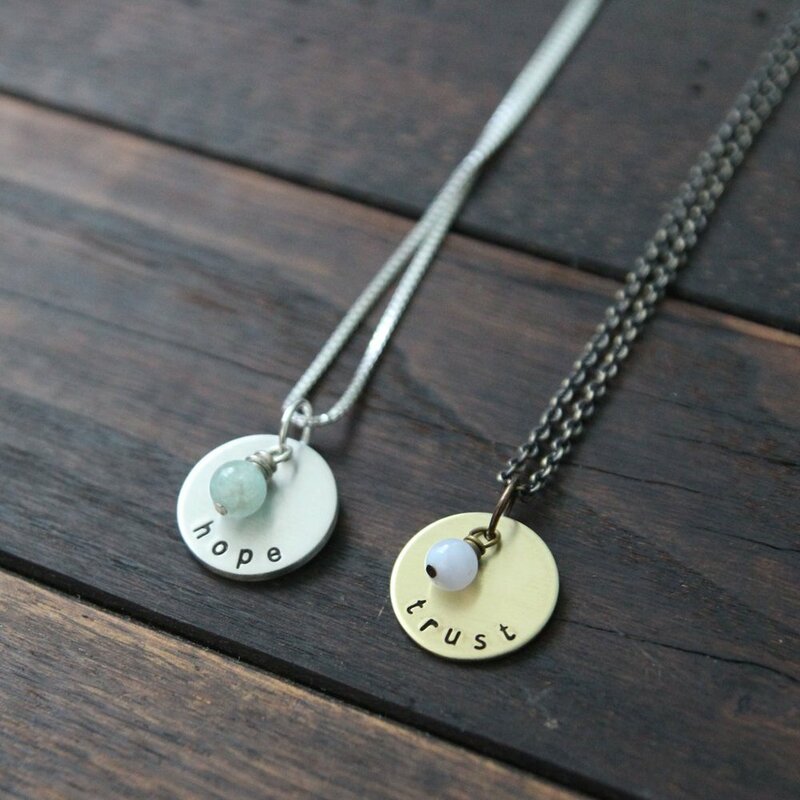 Because I deeply believe in this practice of wearing your word and carrying it with you, I've priced this bundle at more than 15% off in the hopes that these pieces will be a beautiful companion for you. You can find it right here. Other word of the year designs are available here including the heart talismans that so many people order every year to honor the word they are carrying with them. If you're thinking about choosing a word of the year but need some ideas to help you brainstorm, here's a post to help you begin. Thank you for continuing to support my shop. This time of year is such a gift to me as your words arrive in my inbox and I have the opportunity to be part of this special practice.